A pair of exercises to complete gaps with these two verbs. Students use the infinitive form in the first exercise and the correct verb tense in the second one. This printable, downloadable handout is recommended for high school students and adults at Pre-intermediate (A2) level. 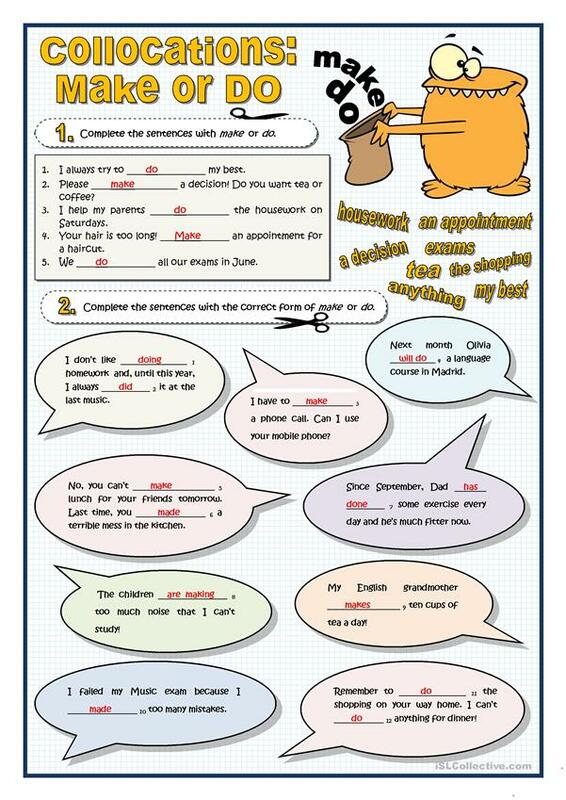 It is great for consolidating Verb tenses in English, and was designed for honing your class' Reading skills. The answers are provided, too.